Axeda Go Developer Kit Now Available for Intel Quark Lower-Power, Extended Temp Product Line. Axeda, the leading cloud-based service and software for connecting, building and managing Internet of Things (IoT) solutions, today announced a technology alliance with Intel® that utilizes the unique advantages of the Intel® Quark™ SoC X1000 Series processors to help rapidly evolve IoT solutions for the industrial, energy & transportation industries. The collaboration includes Axeda Ready certification of the Intel® Galileo development board and Intel Quark SoC X1000 Series processor to ensure compatibility with the Axeda Machine Cloud. Axeda and Intel have also developed an Axeda Go developer kit for connecting an Intel Galileo development board to the Axeda Machine Cloud, provisioning the device on the Axeda Machine Cloud developer site, and installing the Axeda Agent code into a Galileo workspace. The Intel® Galileo board is based on the Intel® Quark™ SoC X1000, a 32-bit Intel Pentium®-class system on a chip (SoC) and is software-compatible with the Arduino Software Development Environment. In addition, the board has several industry standard I/O ports including a full sized mini-PCI Express slot, 100Mb Ethernet port, Micro-SD slot, RS-232 serial port, USB Host port, and USB Client Port. By allowing the Intel Quark SoC X1000 Series processors to quickly and easily integrate with the Axeda Machine Cloud, the Axeda Ready and Axeda Go programs extend the reach of the IoT, broaden options available to customers, and reduce the cost and complexity of connecting and developing intelligent products. As the industrial IoT becomes more advanced and connected, the industrial, energy and transportation sectors need solutions with more processing power at the edge and that are robust, reliable and offer extended temperature and low power. The Intel Quark SoC X1000 Series extends the company’s reach into these markets. The Quark product family features error-correcting code (ECC), industrial temperature range and integrated security. ECC delivers a high level of data integrity, reliability and system uptime for equipment required to run at all times, while industrial temperature range helps meet the requirements for industrial control and automation applications. The Intel Quark processor core is a 32-bit, single core, single-thread, Intel® Pentium® instruction set architecture (ISA) compatible CPU operating at speeds up to 400MHz. Organizations need more innovative ways to harness ever-increasing amounts of data from the physical world and use it to drive smarter decisions, enable new services and business models, and reduce costs. In some industries, the costs of offering, managing, and covering recalls and warranties are significant. 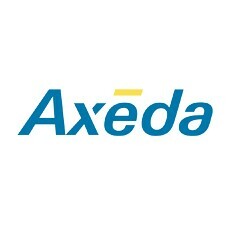 Axeda customers are using data from connected products to reduce these costs and automate tasks such as product registration, usage reporting, and claim management. Companies are also connecting their more intelligent products to analyze machine data and enable predictive maintenance. They are implementing business rules, alarms and alerts at the edge and in their enterprise business systems to automate field service, spare part deployment and other maintenance tasks. Machines are being designed with more processing power and being instrumented with temperature, infrared, acoustic, vibration, battery-level and sound sensors to optimize performance and monitor conditions that can be early indicators for the need for maintenance. These sensors are inputs into sophisticated rules for predicting service needs and illustrate the need for more processing power at the edge where the data is being collected.